These are no ordinary biscuits, my friends. 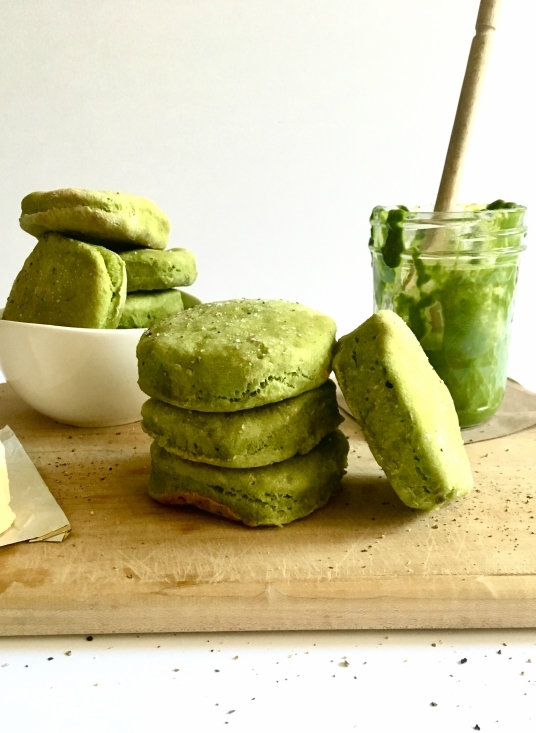 These are pesto potato biscuits, and their fluffy, flavor-packed ways are here to change your life forever. We’re baking it into soft, fluffy biscuits! And they’re good, you guys. They are so, so good. 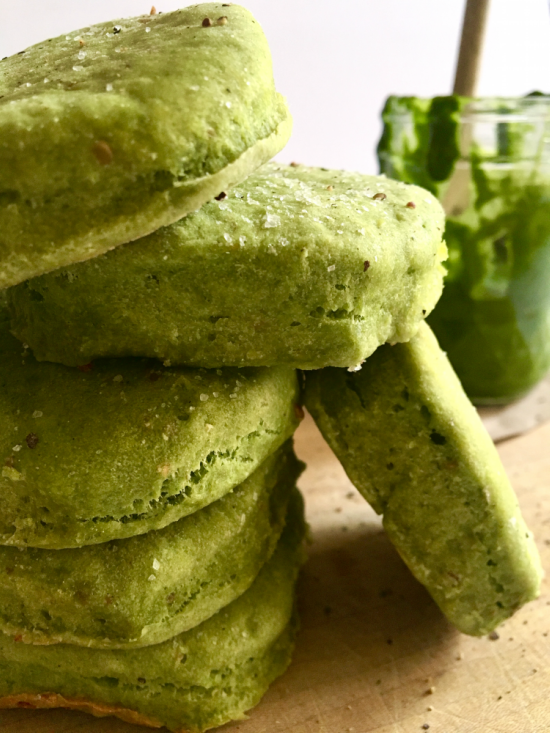 Obviously, I immediately turned around and walked in the door as determined as ever to make these pesto potato biscuit dreams a delicious reality. And I did. And it was beautiful. Not to mention, T LOVES them and they are so super easy to make, requiring zero rising time and no fancy equipment or ingredients. 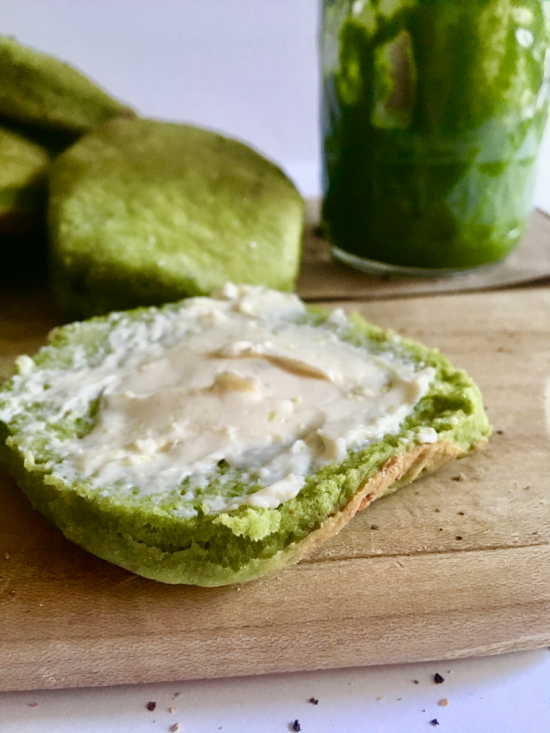 These pesto potato biscuits are awesome slathered in Earth Balance, smothered in gravy, or straight from the oven! They also have us dreaming of vegan breakfast sandwiches, but that’s another story for another day. 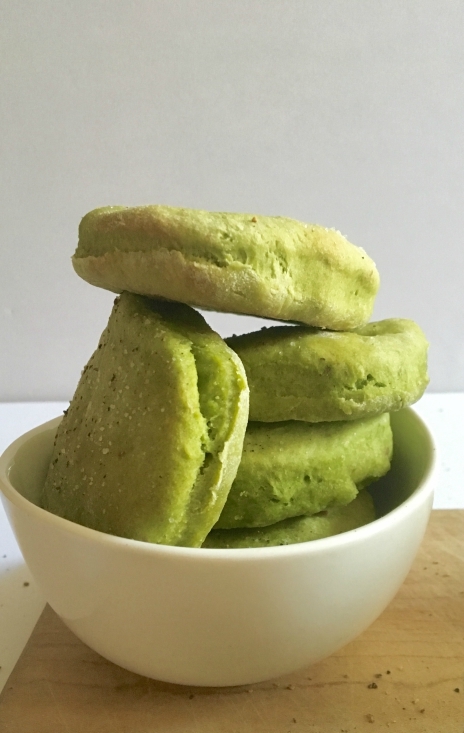 If you make these pesto potato biscuits, we wanna hear about it! Leave a comment and rate it below or tag us on Instagram (we’re @theplantpowercouple with the ‘the’), so we can live vicariously through your delicious creations! 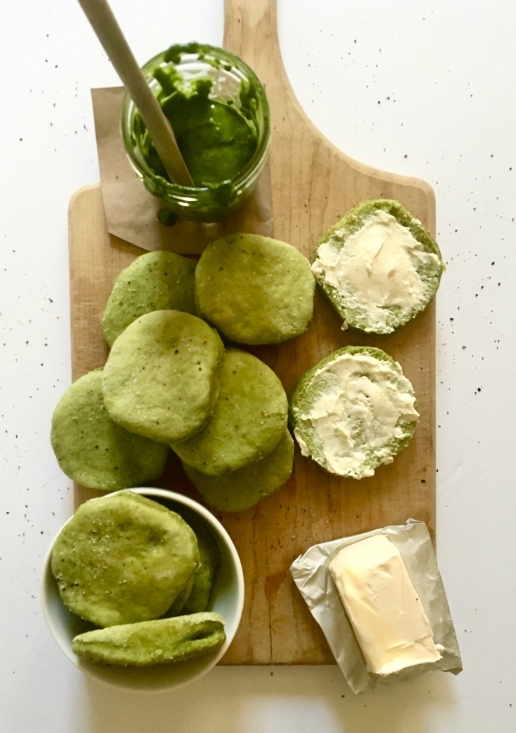 These pesto potato biscuits are soft, fluffy, and flavor packed. They're also easy to make and go great with a slathering of Earth Balance, smothered in gravy, or eaten straight off the pan! Start by using a fork to mix your flax egg together in a small bowl. Set it aside to sit for five minutes. Preheat your oven to 400F and line a baking sheet with parchment paper. Add flour, baking powder, sugar, and salt to a large bowl and stir with a large wooden spoon to combine. In a small bowl, use a fork to whisk together the pesto, mashed potatoes, soy milk, and flax egg. Make a well in the center of the dry mixture and pour the wet mixture into it. Stir to combine until a rough, shaggy dough is achieved. Get your hands in there and knead the mixture into one dough ball. Turn the dough onto a floured surface, lightly sprinkle some more flour on top, and knead a few more minutes to smooth it out. Use a lightly floured rolling pin to flatten the dough to about 1/4 inch thick. Use a biscuit cutter or the top of a pint glass to cut as many biscuits as you can out of the dough. Place each biscuit on your lined baking sheet, making sure they all touch. Then, knead together and roll out the excess dough and repeat until all the dough is used. Brush each biscuit with some olive oil and sprinkle with salt and freshly cracked black pepper (optional but awesome). Bake them at 400F for 15-17 minutes. Enjoy these biscuits slathered with vegan butter, smothered in gravy, or just all on their own. Enjoy!